"Warriors Orochi 4 is so mindless and repetitive and yadda yadda yadda." These reviews write themselves. They're wrong, but it's almost a standard approach to take with this series, and Warriors Orochi 4 is almost certainly going to be the latest victim of that. 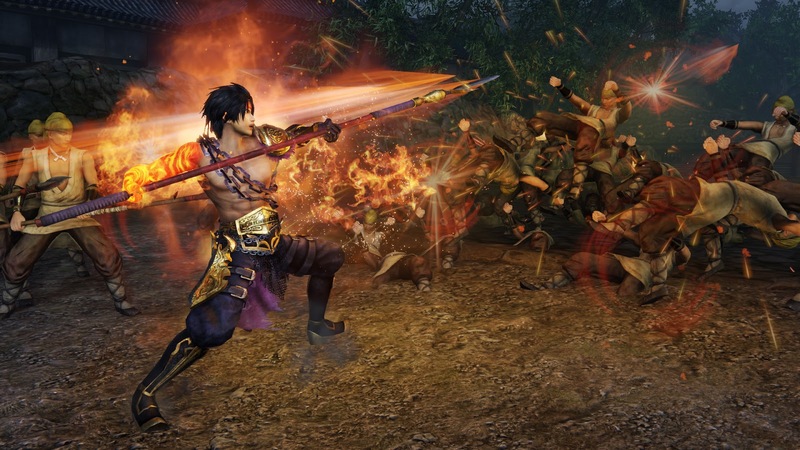 But in reality, every Warriors game brings something distinctive and new to the table, and for Warriors Orochi 4, the point of difference is that there's the most stunning flow to the combat that has been seen in the series to date. By now, everyone should have a basic idea of how a Warriors game works - you've got a hero (or, in Orochi 4, three that you can swap between on the field) that moves from battle to battle, where they need to take on an entire army, with the outcome of the battle being almost entirely on their shoulders. In Orochi 4, battles can actually be a bit draining, because once you've mastered the aforementioned flow, there's barely a moment to catch your breath. The trick is in mastering the character swap. As mentioned, only one of your characters can be active on the field at a time. After performing a strong attack (the basic combat actions being a mix of weak and strong attacks, as with every Warriors title), if you immediately press the button to swap characters, the move will launch a little whirlwind, which will collect all the enemies in the area together, allowing you to seamlessly continue your attack on them. You can do this over and over and over again, and it's not uncommon to be able to make your way across the battlefield gracefully swapping from one character to the next, and notching up combo counts well beyond 4,000/5,000/ even more. Of course enemy leaders have the ability to fight back, and there are objectives to consider, many of which on strict timers that force you to also be fleet of foot and get from one end of the battlefield to the other, fast. You've also got a range of magic abilities and special attacks to draw on, which are useful for when you need to do significant damage quickly. But that core mechanic, the rhythm in swapping from one character to the next, is so fundamentally visceral and enjoyable that it's almost enough to sustain Warriors Orochi 4 all by itself. Almost. Thankfully, there's so much more to the game beyond just that to help make it one of the most rounded and enjoyable Warriors games available on the PlayStation 4. The feature players are going to notice first is the roster. 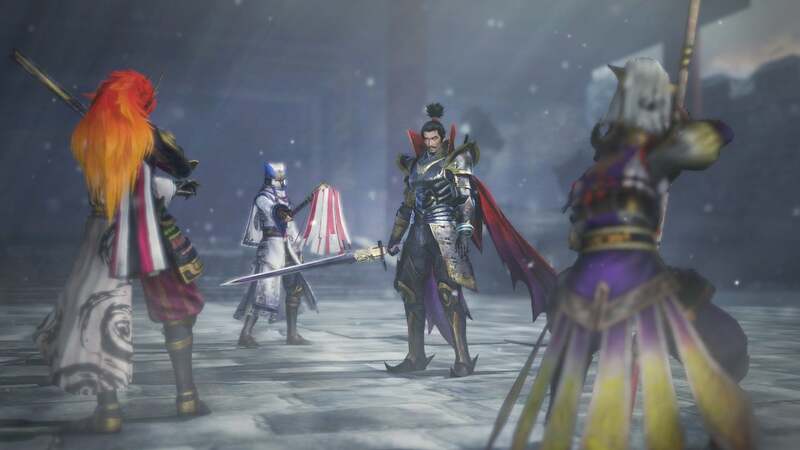 At 170 playable characters Koei Tecmo has been only too happy to trumpet that the development team has actually set a record for the most number of playable characters in a game. That roster is so large because, for people who haven't been following along, the Orochi series is a fantasy spin-off that brings the Samurai Warriors and Dynasty Warriors casts together to deal with a mystical threat to them all. But I digress. The point is that the writing team at Koei Tecmo has maintained exacting control over the entire cast, while also making sure that no matter which character is your favourite, he or she gets a fair moment to shine through the plotline. Because Warriors Orochi 4 is a character-driven piece of "fanservice" designed to appeal to long-time fans, who assuredly have their favourite characters from Dynasty Warriors and Samurai Warriors, it was absolutely essential that this all came together, and I am genuinely impressed by just how well it achieves that goal. In contrast to the previous Warriors Orochi, Warriors Orochi 4 actually has a more narrow focus; aside from the addition to a couple of Gods from Norse and Greek mythology, and a handful of original characters, the entire cast is drawn exclusively from Dynasty Warriors and Samurai Warriors. Warriors Orochi 3 had characters from Atelier, Dead or Alive, Bladestorm, and even more obscure franchises. 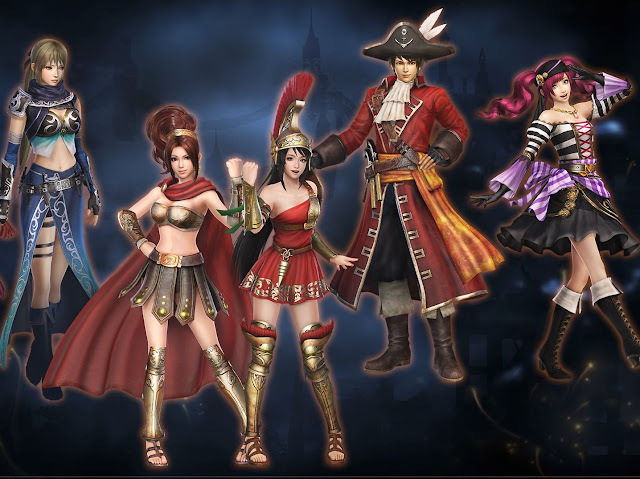 That more narrow focus makes sense, however, because firstly, Koei now has the Warriors All-Stars series it can roll out for eclectic character mashups. 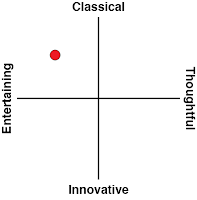 More significantly, however, the more narrow focus also helps to keep the narrative on point and sharp. There's not a word wasted, and, for all the fantastic set up, not a character seems out of place. Of course, Warriors Orochi does have its "main" protagonists and antagonists. There's a select few heroes who can go through a "deification" process mid-battle, which makes them so much more powerful and spectacular. However, while the developer clearly wants you to pay attention to those characters, it's not essential to use them to work through the plot, nor is it impossible to defeat deified enemy characters with regular heroes. Otherwise, Warriors Orochi 4 functions much like the wish fulfillment that previous titles offered. The ability to pull Sun Shangxiang, Gracia, and Ginchiyo Tachibana together so they can go on quests together. The chance to see how Nobunaga Oda and Cao Cao would get along. One of the interesting things about Dynasty Warriors and Samurai Warriors is that, despite being set in eras that were many centuries apart, Koei Tecmo has been able to figure out parallels between various heroes and villains, and seeing those parallels play out next to one another has always been great fun. The team has even done a decent effort at differentiating each character's special attacks so they feel different on the field of battle. There are a couple of overall charactegories for characters, of course - some are fast, while the more lumbering ones hit harder, but within that, subtle differences between weapons and magic abilities will force you to adjust how you approach each character. It's not a fighting game in that there's no mastery curve, but there's just enough there to keep a sense of variety across the 170 options that you have. The only thing that disappoints me is the linear nature in which battles are unlocked. With Warriors Orochi 3, there was this magnificently complex web of character relationships that needed to be built up, and battles that needed to be replayed in order to complete different objectives to unlock further missions and characters. Just unlocking everything was an effort that rewarded diligence and perseverance. With Warriors Orochi 4, most of the work is done for you. Complete a battle, unlock the next one in the linear story, and perhaps a side battle. That streamlining is understandable in that I know people got annoyed trying to find specific characters and battles in Warriors Orochi 3, but I do miss feeling like an active participant in helping to determine how the narrative evolves. 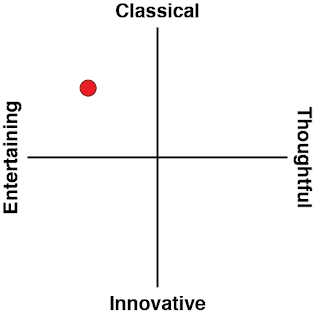 I know I spend a lot of time arguing that the Samurai Warriors and Dynasty Warriors titles are not simple action fun. I'm always going on about the historical relevance of narrative, and how the games are expertly designed to do justice to that historical context. Warriors Orochi is a little different. This sub series is all about indulging in the characters and setting up fun little hypothetical within a fantasy universe. It's pure fun, and with Warriors Orochi 4, Koei Tecmo has done such a lovely job that I suspect I'll be coming back to it frequently for many years into the future.